RUSH: Julie in Temecula, California, it’s great to have you. I’m glad you waited. How you doing? CALLER: Sure. Hey, Rush. Something is not right. 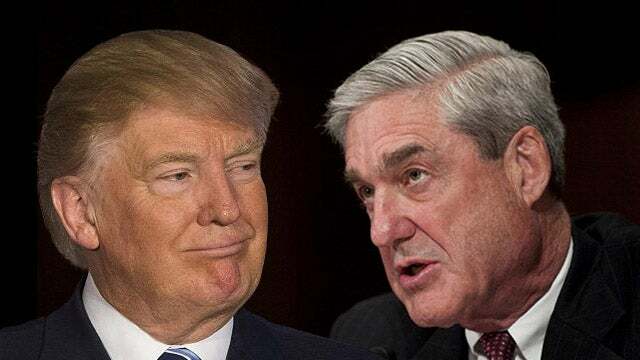 I continuously hear that diGenova, Toensing, Sekulow, Jarrett, Napolitano, Dershowitz, Levin, and a bunch of others say that Trump should not talk to Mueller under any circumstances because he can lead Trump into a perjury trap even if he tells the truth. Now, Giuliani is said to be negotiating for Trump to talk with Mueller so the probe can end? This will lead to a perjury trap. RUSH: Yeah. It’s common sense that a target not talk to the prosecutors, and especially in this circumstance. Now, you may know more than I on this. I’ve not heard that Rudy is trying to negotiate an appearance by Trump before Mueller. I know Trump wants to. Trump is the guy pushing it, Trump is the guy that wants to do it, and Rudy I would think would know what a potential disaster that is. I’ve only heard Rudy say that he’s meeting with Mueller himself to try to speed this thing along and wrap it up. He said two to three weeks. I think that’s a bit ambitious. But if Trump wants to talk to Mueller, Julie, Trump is gonna talk to Mueller. RUSH: If he wants to do it, he’s gonna do it, and there’s nobody that can talk him out of it. ‘Cause, as you said, there must be 15 people, if not more, who’ve been opining in every media venue Trump watches, listens to, and reads, “Don’t do it, don’t do it.” And yet you keep hearing Trump is gonna do it. You’ve heard that Rudy is trying to make it happen, you know, with certain limits on it and so forth. It would be a disastrous thing to do.